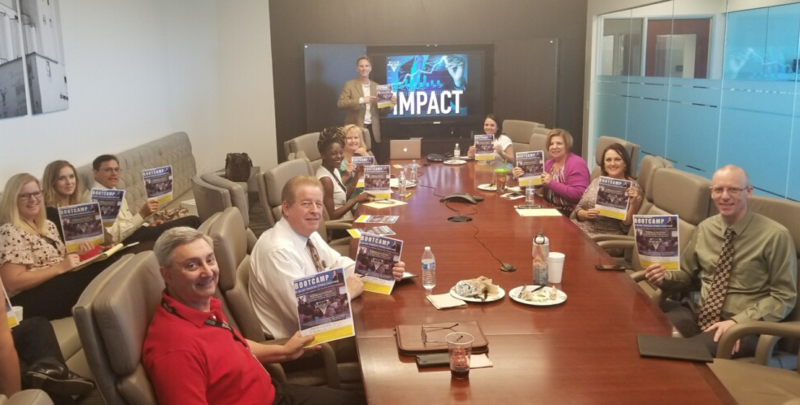 Scott McLaine seen here hosting a Financial IMPACT workshop with Davis Miles McGuire Gardner, PLLC employees and attorneys. Davis Miles McGuire Gardner, PLLC care about the financial wellness of their employees. Special thanks to David Blackledge and Marc Goldsen for helping to arrange this workshop. "Everyone can benefit from financial wellness and wealth accumulation mindset training." says Scott McLaine. "It's not what you make ... it's what you do with what you make.". When you make more money, you tend to spend more money. Unless you put a different line of thinking in your mindset on how you handle and manage money, you'll end up like most of America. You'll be struggling to make ends meet and always be out of money. IMPACT is the introduction workshop for employees to get themselves on a brighter financial course.